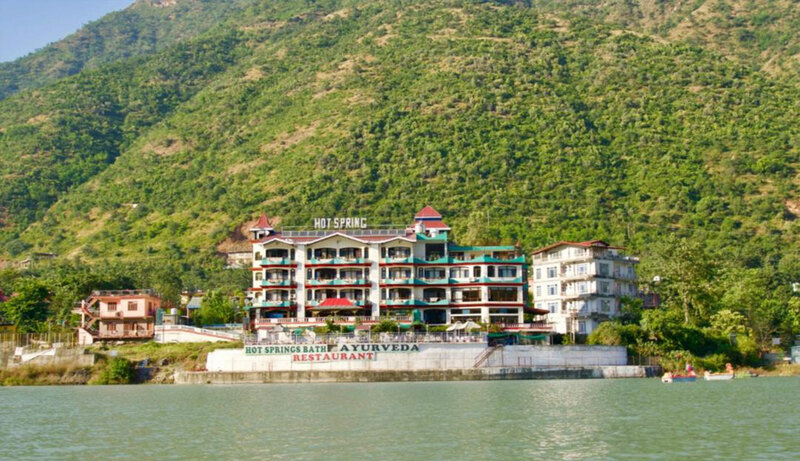 Hotel Hot Spring Therme & Spa standing high along the bank of river Satluj in the middle of green valley, away from mass tourism with the spirit of health and adventurous environment. Nature`s tranquility and our hospitality together make Hotel Hot Spring Therme & Spa a distinguished enclave. The splendid mountain view and picturesque landscape summons you to rejuvenate and refresh your mind with natural warm healing water & adventurous activities, organized in European style. We promise you the life time experience of relaxing, rejuvenating & adventurous holidays. "Hotel Hot Spring Therme & Spa" is a newly build property in the middle of green valley of the Himalaya. It's located in Tattapani (Himachal Pradesh), at 650 mt of altitude, on the bank of Satluj, one of the biggest river in India. It's away from mass tourism with the spirit of health and adventurous environment. Tattapani is famous for its natural hot sulphur spring gushing out at the temperature of 65 degree Celsius near the the river. From the ancient time the local population well known the miraculous property of this water and come from all over the state to take a dip into the sulphur spring: this provides relief to the people suffering from joint pains, fatigue and stress or any type of skin disease and hence has got a great medicinal quality. 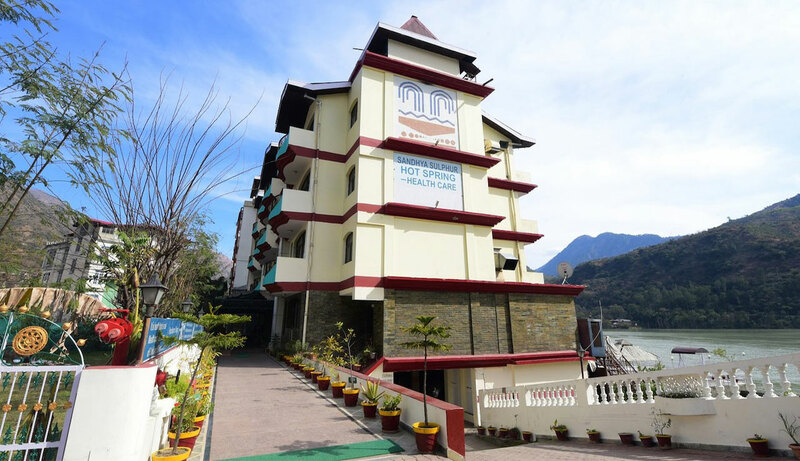 "Hotel Hot Spring" is the first and only hotel in India applying the therapeutic values of natural hot sulphur spring for holistic treatment! 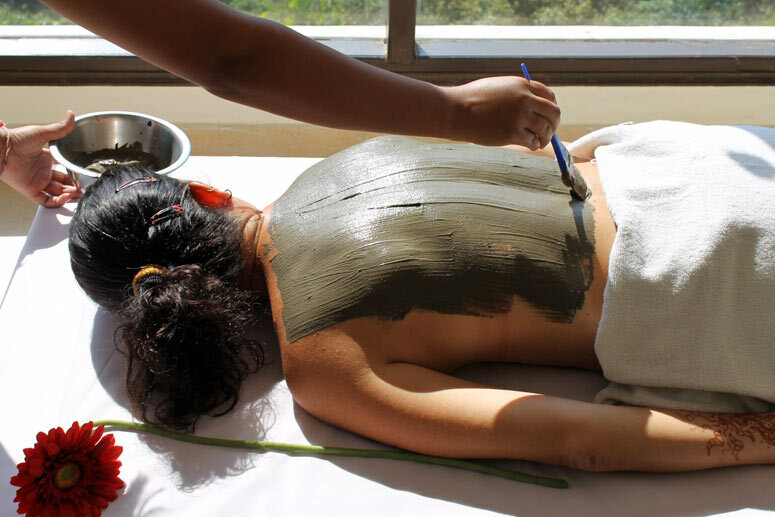 In our Spa you can have relief from different problems and get into peace of mind and body with comfort & special care. Hotel Hot Spring besides provide an excellent service in a luxury ambience with a lot of special facilities like: Thermal Centre with hydro massage pool and private pools of Natural Sulphur water; numerous Adventure activities organized; different Ayurvedic & Beauty treatments; Herbal steam bath; Yoga, Meditation and Gym centre; multi-cuisine Restaurant with open air terrace and a wonderful view of the valley. 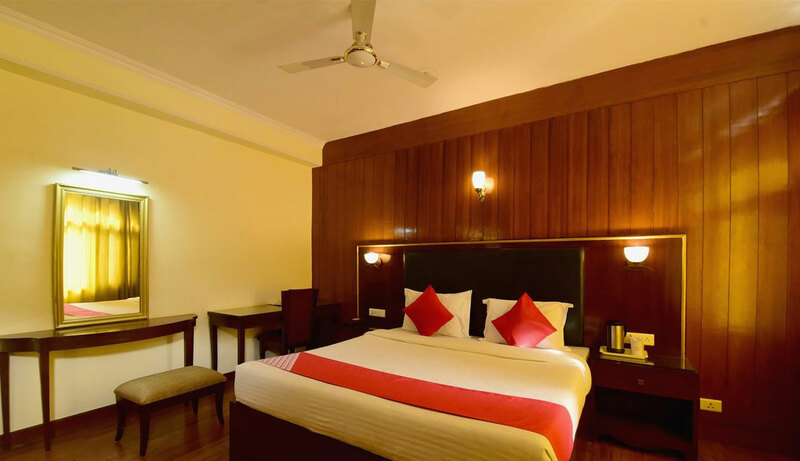 Tattapani is an ideal place for enjoyment and relaxation. It's also a famous pilgrimage centre for Hindus; the devout consider the month of Magha (January-February) auspicious for a dip: it is believed that by doing so, one can cleans itself of one's sins. People gather in abundance every year on the auspicious days of Tara Ratri, Lohri and 26th January. Dips are also taken on Baisakhi day (April), in the occasion of the major agricultural festival. The HYDRO MASSAGE THERMAL POOL of Hotel Hot Spring contains 36000 liters of natural running hot water. Hydro massage reactivates circulation and eliminates the metabolic waste. 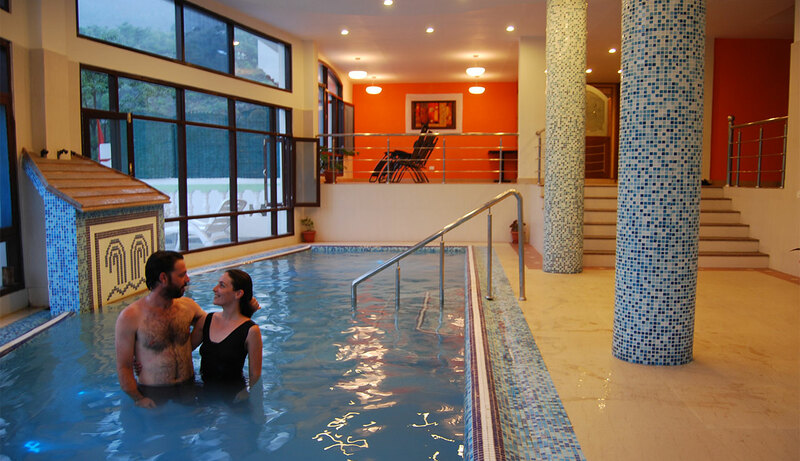 We have two PRIVATE POOLS with natural running hot water, suitable for couple or families. The KNEIPP COURSE/CONTRAST THERAPY consists of walkway in alternative hot and cold water; this helps to stimulate blood & lymphatic circulation and also removes uric acid deposits from ankles and lower parts of the body. Outdoor FLORAL POOL with natural hot water is for children amusement. ACUPRESSURE SLIPPER: it's a very powerful pressure/release slipper focuses on the reflexology zone that effect every vital organ of the body; worn during Kneipp Course increase the detoxifying effects. In the Thermal Centre we have a SOLARIUM facing the Sutlej river valley and a TEA LOUNGE which has a variety of organic herbal tea choices. Other facilities available for our guests: changing room with locker, shower, towel, gown, slipper. By Train - Reach Kalka, then toy train to Shimla, then 50 km by car.